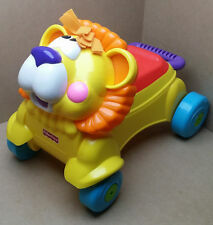 Fisher Price Musical Lion Walker. Lights, sounds & music play as new walkers push lion along. 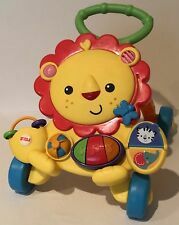 Lights, sounds and music play as baby pushes lion along. With lights, sounds and 8 different busy activities. 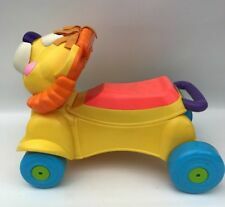 This zebra's full of busy, hands-on activities for sitting babies. 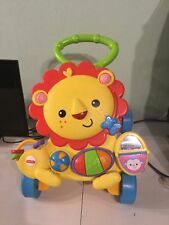 Your tot can turn the book page or press the light-up buttons to learn all about ABC's & 123's through sing-along songs and phrases with new animal friends! Item is previously used and in good condition, but may have marks from normal use. Batteries are included.